The Yampi Sound Training Area is an area of outstanding conservation value, with the highlands having been virtually untouched for over 40 years. 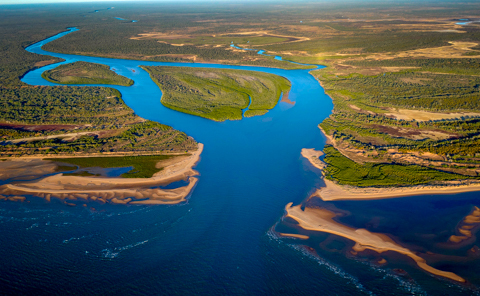 It is a hotspot for endangered and endemic wildlife, covering over 568,000 hectares of the western Kimberley, including over 700 kilometres of coastline. When the Department of Defence purchased this land in 1978, it secured an area of outstanding ecological significance that now rivals Australia’s great national parks for the diversity and abundance of its wildlife. AWC has been contracted by Defence to deliver science-based conservation and land management activities at Yampi. We work closely with the Dambimangari Aboriginal Corporation and the Department of Defence to protect this military area’s natural values. It is the first partnership of its kind in Australia between a private conservation organisation and the military, and is potentially a template for managing biodiversity values on military land around the world. Located within the traditional country of the Dambimangari people, Yampi Sound Training Area covers 568,000 hectares and straddles three different bioregions. 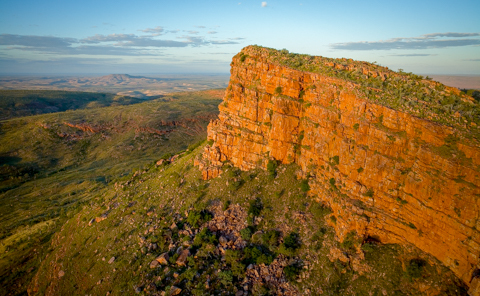 It is located approximately 75 km northeast of Derby in the western Kimberley, WA. The geology of Yampi includes stunning and diverse features: from rugged sandstone ranges to the north, to rolling quartzite, basalt, and granite hills and inselbergs in the centre. Escarpments tower over long, hidden valleys decorated by pockets of rainforest. Tropical streams cascade over waterfalls and through chains of rock pools before meandering through savanna woodland until they reach the coast. The ranges extend into the ocean, creating an intricate pattern of sheltered bays and inlets, often flanked by dense mangrove forests. There is an extensive network of waterways and billabongs in the lowland areas, which feed into brackish systems, vast saline flats, and mangroves as they reach the coast. Yampi contains at least a third of all the known Kimberley plant species, and is an area of unusual plant richness. Around 800 species of plant from 122 families have been confirmed in the limited survey effort to date, with about 1,000 species estimated to occur on the property. A least two plant species are endemic to Yampi, and a third occurs mainly within the boundaries of Yampi. 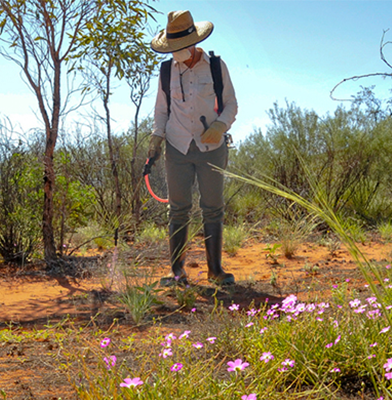 Three rare plant communities occur in Yampi: rainforests, mallee scrub-heath on an isolated mesa, and plant communities of the granite inselbergs of the Kimberley. The southern section of Yampi includes the most northern occurrence of pindan (red sand) woodlands. In the rocky areas of Yampi, there are fire-protected gullies with pockets of rainforest and monsoon vine thicket, and stands of Cypress Pine which provide reference sites for assessing the health of similar plant communities within the Kimberley. Three major bioregions merge at Yampi, providing a high diversity of ecosystems in a small area, and a refuge for a wide range of iconic Kimberley fauna. 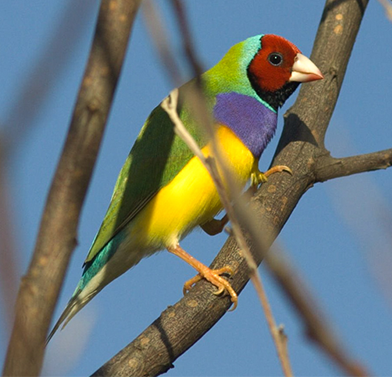 It is a vital last stronghold for species like the Golden Bandicoot and the Golden-backed Tree-rat, and an important sanctuary for threatened and endemic fauna such as the Monjon, the Western Partridge Pigeon, and the Gouldian Finch. Of particular note, good populations of the endangered Northern Quoll have been found historically across Yampi’s rugged ranges, and the vulnerable Kimberley Brush-tailed Phascogale is regularly detected in the lowland woodlands and savannas. Threatened bat species such as the Ghost Bat have roosting opportunities in the rugged ranges of Yampi; whilst the Kimberley subspecies of the Common Brushtail Possum (listed as threatened in the Mammal Action Plan) has been recorded in the lowland woodlands. 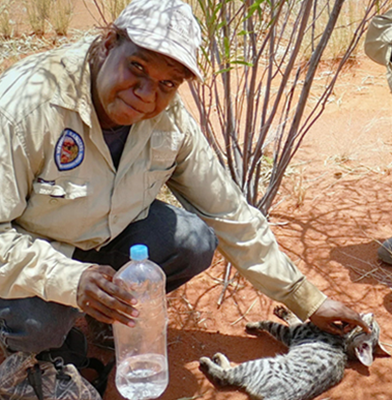 Working closely with the Dambimangari Aboriginal Corporation, AWC is designing and delivering feral control, fire management and a world class monitoring program at the sanctuary. Prior to AWC management, regular and extensive late season wildfires affected large areas of Yampi. In a few short years, AWC’s fire management at Yampi has already improved fire regimes, protecting fire-sensitive vegetation and fauna habitats. Feral cattle, pigs and donkeys occur on Yampi, degrading waterways and lowland vegetation areas. AWC completed a cattle muster at Yampi last year, and will deliver further feral herbivore control programs in the coming years, including follow-up musters and shooting. A biodiversity monitoring program is currently being rolled out to assess and track the ecological health of Yampi, and to inform future land management. 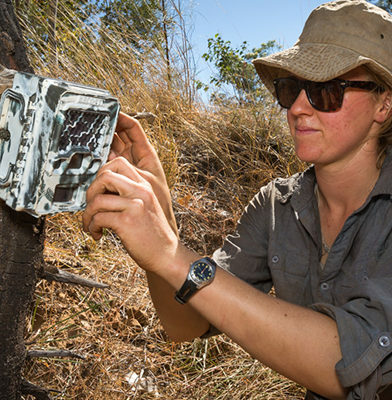 In particular, we monitor the location and distribution of threatened fauna species, habitat condition in targeted areas, and threats. 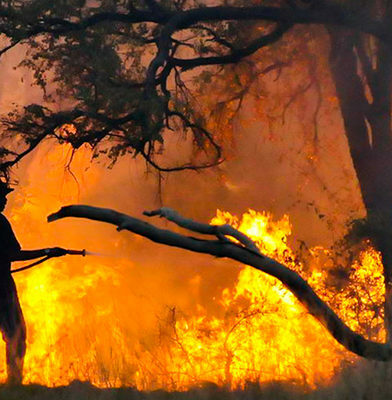 Wildfires that occur late in the dry season are a major threat to biodiversity in the Kimberley, as they burn at a high intensity and can cover huge areas if not managed. They can destroy fire sensitive vegetation and important habitats. Large areas of Yampi have been affected by regular late season fires in recent years, so AWC is implementing a fire regime that reduces their impact. To support this, AWC has an ongoing program to remove feral herbivores and weeds on Yampi.